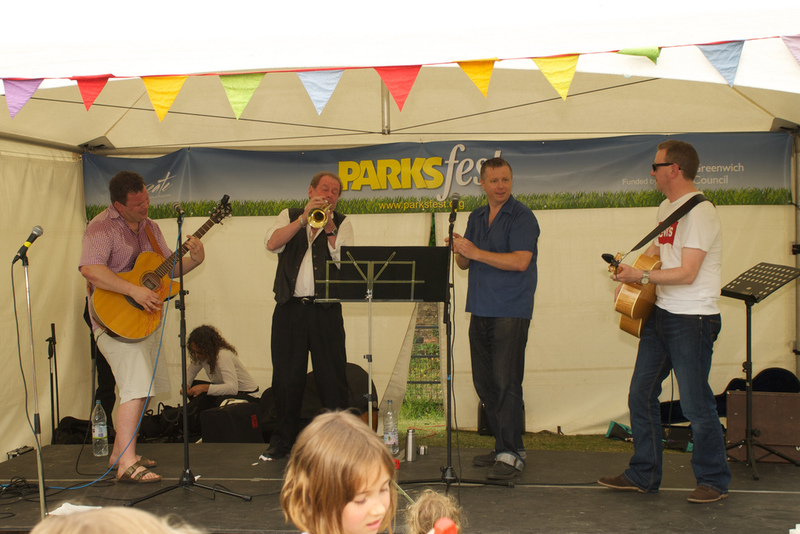 We’re playing at 2pm in East Greenwich Pleasaunce this Sunday 5th June, as part of the Greenwich Parksfest series. Last year’s event was great fun, and we’re looking forward to this one. We’re also looking forward to having Nath Persad drum with us for the first time. More info about the event here. Last year we were joined onstage by Digby Fairweather, who was playing with a jazz band also on the bill, for a few solos in Jailhouse Rock. Not sure we can guarantee that kind of special guest this year, but you never know.